Alcatel-Lucent (Euronext Paris and NYSE: ALU) has today launched a new device for residential and business use that will allow operators to accelerate the deployment of ultra-broadband access in order to meet ever-growing demand for faster data speeds in homes and the workplace. The Alcatel-Lucent G.fast residential gateway is a plug-and-play device that aims to eliminate the need for operators’ engineers to have to enter a customer’s premises to install. The G.fast residential gateway also delivers concurrent dual-band WiFi to provide even greater signal strength and 1 Gbps data speeds, eliminating the need to run fiber into the home. Integrated reverse power will allow operators to reduce costs and complexity of large scale G.fast deployments. Dual-band Wi-Fi (802.11ac/n on 5GHz and 802.11b/g/n on 2.4GHz) provides over 1 Gbps bandwidth, offering customers with the super-fast speeds they demand across all their connected devices. Higher transmittting power of up to 1000 mW will deliver the same quality of service inside any room or outdoor area. SuperSpeed USB3.0 support for home network access to shared content such as music, videos and photos. The 7368 ISAM CPE can be deployed with VDSL2 networking today and upgraded later without having to switch out the device. Fully integrated, plug-and-play device reduces time and cost of installation. Compatible with Alcatel-Lucent G.fast DPUs, DSL line cards and G.fast standard-compliant DPUs. Leveraging the same advanced home technology as the 7368 ISAM ONT G-240W-B residential gateway ONT, delivering the same experience to both PON and G.fast subscribers. The IEEE released a Feasibility Assessment for the Next Generation of EPON based on the input of the wide industry ecosystem, including operators, system integrators, chip vendors, optics suppliers and others. Input was collected on the desired features and options for a next generation of EPON, operating at aggregate data rates above 10 Gigabit per second and minimizing the footprint and power consumption in optical access networks. To address the diversity of market requirements, the referenced communication suggests consideration of multiple NG-EPON solutions, including a multi-wavelength 40G solution with an evolutionary path to 100G and single-wavelength solutions supporting the data rates of 25G symmetric or 25G downstream/10G upstream. “The new PHYs need to consider the coexistence with the deployed EPON technologies and reuse functions and components of 10G-EPON to the extent possible,” states the IEEE 802.3 communication. Comcast is launching a symmetrical, 2 Gbps residential broadband service starting next month in the Atlanta metro area. The Comcast Gigabit Pro service will be delivered via fiber-to-the-home. Comcast says the service will be available to any home within close proximity of its fiber network and will require an installation of professional-grade CPE. 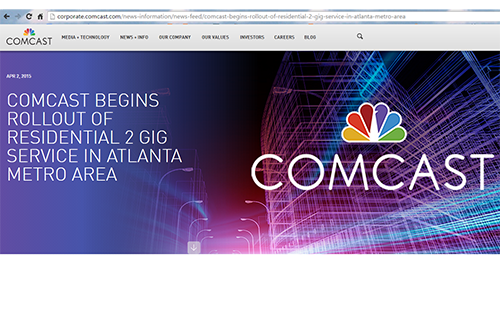 Comcast also said it plans to expand the 2 Gbps service to other markets across the country. The goal is to have the service available to 18 million homes by the end of the year. "Our approach is to offer the most comprehensive rollout of multi-gigabit service to the most homes as quickly as possible, not just to certain neighborhoods," said Doug Guthrie, SVP of Comcast Cable’s South Region. To date, Comcast has built out more than 145,000 route miles of fiber across its service area. Celtic-Plus, an industry-driven European research initiative, announced results and future plans of G.fast lab trials. 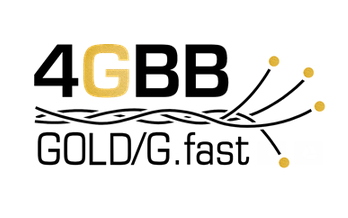 A new Gigabits Over the Legacy Drop (GOLD) project will initiate the planned second version of the G.fast standard. This builds on a recently completed HFCC/G.fast project, which demonstrated throughput of nearly 1Gbps per copper pair at 100 meters, and up to 170Mbps per copper pair at 480 meters, on a 16 pair standard cable. Sckipio said these tests used its technology. The 4.2 Million euro Celtic-Plus project HFCC/G.fast (Hybrid Fibre-Copper connectivity using G.fast) brought together 14 organizations from nine countries and included Ericsson AB (SE), ADTRAN GmbH (DE), BT (UK), Dension Broadband Systems Kft (HU), EUR AB (SE), Orange SA (FR), Lund University (SE), Marvell Semiconductor (ES), Fundacion Tecnalia Research and Innovation (ES), Telefonica I+D (ES), Telnet Redes Inteligentes SA (ES), TNO (NL), FTW Telecommunications Research Center Vienna (AU) and Sckipio Technologies (IL). The 4.4 million euro Celtic-Plus project GOLD (Gigabits Over the Legacy Drop) brings together 12 companies from 8 countries including service providers BT (UK), Orange SA (FR); equipment vendors ADTRAN GmbH (DE), Alcatel-Lucent (BE), Ericsson AB (SE), Sagemcom (FR), and Telnet Redes Inteligentes SA (ES); chip vendors Marvell Semiconductors (ES) and Sckipio Technologies (IL); and researchers at Lund University (SE) and TNO (NL). The 3-year project, which is coordinated by Lund University, will run until December 2017. Twin Prime, a start-up based in Redwood City, California, emerged from stealth and announced a $9.5 million Series A funding round for its work in mobile data delivery optimization. 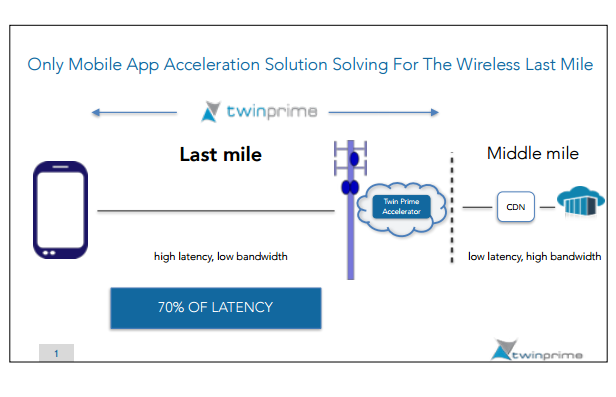 Twin Prime has developed a mobile application acceleration solution for the delivery of dynamic, static and encrypted content on both cellular and Wi-Fi networks. The company claims it is 3X faster for images and 2X faster for video. The solution does not rely on caching, compression or content modification. It works with current CDNs. 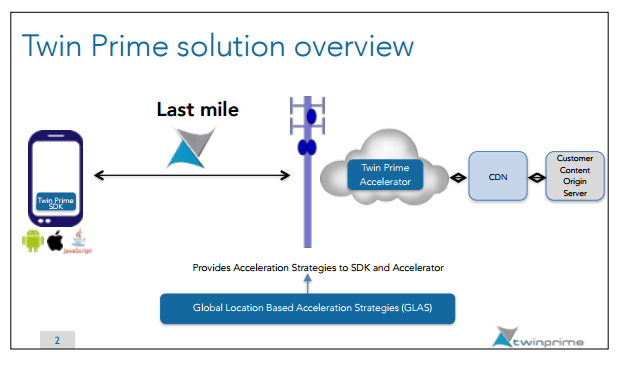 Twin Prime's Global Location and Context-based Acceleration Strategy (GLAS) technology utilizes automated hypothesis testing to achieve real-time automatic selection and deployment of optimization strategies customized for specific mobile network characteristics and operating conditions including device, application architecture, network type, quality and location. The new funding was led by DFJ and True Ventures with participation from Milliways Ventures and Moment Ventures. Twin Prime was founded by Kartik Chandrayana, who previously led engineering teams at Blue Coat Systems and Cisco Systems, and Satish Raghunath, who previously held technical and engineering positions at Juniper Networks and Nortel Networks. Alcatel-Lucent is looking to bring down the cost of TWDM-PON (Time and Wavelength Division Multiplexed Passive Optical Networks) by allowing different types of optics to be used. Currently, TWDM-PON requires new optics capable of providing four tunable 10 Gbps wavelengths. Alcatel-Lucent's new ‘Universal TWDM’ solution enables operators to initially deploy one non-tunable 10 Gbps wavelength and easily add more pluggable as demand grows, providing a smooth upgrade to full TWDM without the need to replace network components, evaluate new technology, or reconfigure operations and business support systems (OSS/BSS). "The primary obstacle for deploying new ultra-broadband infrastructure and services is the business case. 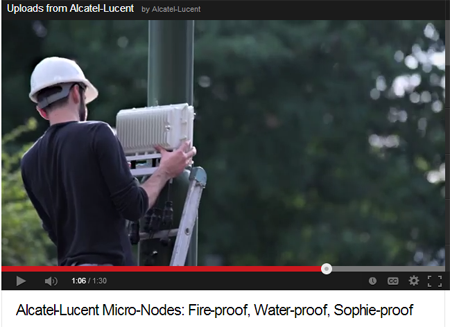 Universal TWDM is Alcatel-Lucent’s innovative solution to this challenge. We are enabling operators to build upon their existing fiber investments while bringing down the total cost of ownership of TWDM technology. This means they can immediately address new high-revenue opportunities for gigabit services while knowing that their investment is future-proof,” stated Federico Guillén, president of Alcatel-Lucent’s Fixed Access Business Line. The company noted that Universal TWDM and full TWDM-PON can co-exist with current PON technology. Alcaltel-Lucent also estimates that Universal TWDM will have a similar cost as established 10 Gbps technologies, such as XG-PON. 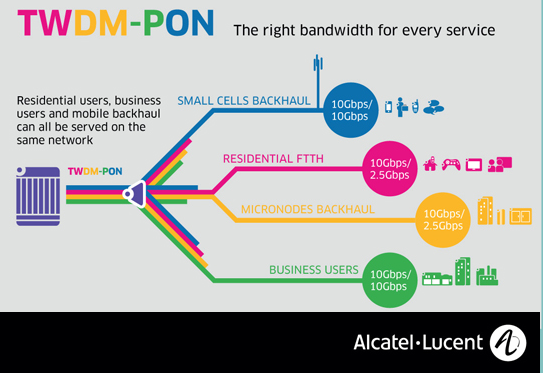 In October 2014, Alcatel-Lucent introduced the industry’s first TWDM-PON (Time and Wavelength Division Multiplexed Passive Optical Networks), a new fixed, ultra-broadband access technology for scaling the capacity of existing fiber networks. TWDM-PON uses four wavelengths per fiber, giving a total capacity of 40 Gbps. An operator can choose to deliver different services over each wavelength, enabling residential, business and mobile backhaul services to be carried over a single fiber. 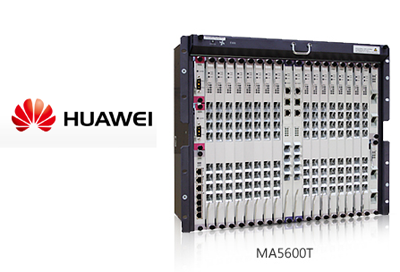 TWDM-PON technology is supported by Alcatel-Lucent‘s 7360 Intelligent Services Access Manager FX solution. The company is introducing a new 4-port TWDM-PON line card and optical network unit supporting 10Gbps symmetrical bitrate. Products will be available in the first quarter of 2015. Alcatel-Lucent and Vodafone have been co-developing TWDM-PON since 2010 as a potential successor to GPON. During this time, the companies have contributed to its standardization and completed a successful trial. Significantly, TWDM-PON can co-exist with current PON systems. 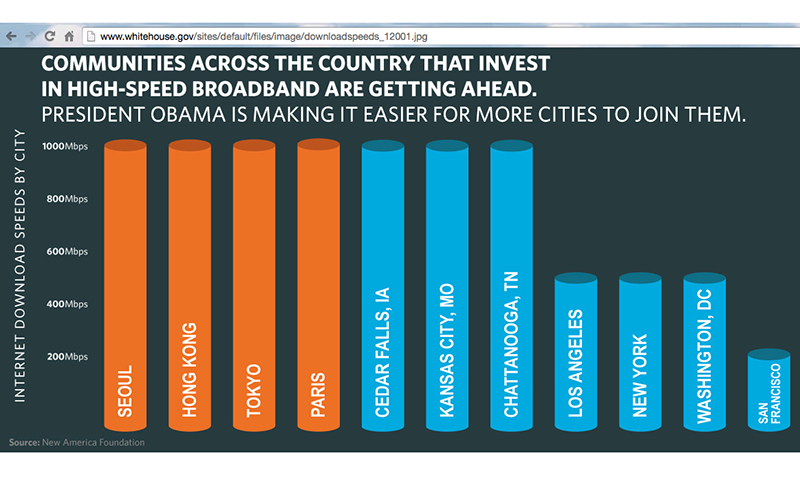 President Obama is calling for new measures to promote faster and more affordable broadband by supporting municipal networks and spurring competition. Calling to End Laws that Harm Broadband Service Competition - opposing laws in 19 states that limit the range of options available to communities to spur expanded local broadband infrastructure, including ownership of networks. The Obama Administration will urge the FCC to address barriers inhibiting local communities from responding to the broadband needs of their citizens. Expanding the National Movement of Local Leaders for Better Broadband - offering support for the Next Century Cities coalition, a nonpartisan network pledging to bring fast, community-supported broadband to their towns and cities. In June 2015 the White House will host a Community Broadband Summit of mayors and county commissioners from around the nation who are joining this movement for broadband solutions and economic revitalization. These efforts will also build on the US Ignite partnership, launched by White House in 2012, and which has grown to include more than 65 research universities and 35 cities in developing new next-generation gigabit applications. Announcing a New Initiative to Support Community Broadband Projects - the Department of Commerce is launching a new BroadbandUSA initiative to promote broadband deployment and adoption. Building on expertise gained from overseeing the $4.7 billion Broadband Technology Opportunities Program funded through the Recovery Act, BroadbandUSA will offer online and in-person technical assistance to communities; host a series of regional workshops around the country; and publish guides and tools that provide communities with proven solutions to address problems in broadband infrastructure planning, financing, construction, and operations across many types of business models. Unveiling New Grant and Loan Opportunities for Rural Providers - The Department of Agriculture is accepting applications to its Community Connect broadband grant program and will reopen a revamped broadband loan program, which offers financing to eligible rural carriers that invest in bringing high-speed broadband to unserved and under served rural areas. Removing Regulatory Barriers and Improving Investment Incentives - the President is calling for the Federal Government to remove all unnecessary regulatory and policy barriers to broadband build-out and competition, and is establishing a new Broadband Opportunity Council of over a dozen government agencies with the singular goal of speeding up broadband deployment and promoting adoption for our citizens. The Council will also solicit public comment on unnecessary regulatory barriers and opportunities to promote greater coordination with the aim of addressing those within its scope. CTIA's Meredith Atwell Baker - "CTIA applauds President Obama's recognition that broadband drives economic growth and supports innovation. Today's remarks, however, failed to acknowledge that America's wireless consumers already benefit every day from the dynamic, competitive market that the President seeks, with more than 8 out of 10 Americans having access to at least four wireless broadband providers. By focusing on government-owned networks, the President missed an important opportunity to promote private wireless broadband investment and the potential for 4G, 5G and fixed wireless solutions to deliver more competitive choice and innovation to rural America. The President's focus today on using taxpayer money to compete with commercial providers, which are pouring billions in private capital every year into U.S. broadband infrastructure and jobs, is the wrong path forward. The wireless industry has invested $100 billion in the last four years alone. In such a vigorously competitive market, government-owned networks would only serve to chill private sector investment, tilt the competitive playing field, and harm consumers." Ikanos Communications and SoftAtHome, a provider of home operating platforms, announced a solution for real-time broadband monitoring and diagnostic tools for operators. The combined solution of inSIGHT BXM and SOP, jointly designed by Ikanos and SoftAtHome, aims to the best QoS over increasingly complex broadband networks such as VDSL2 vectoring and, in the near future, G.fast. The solution offers two benefits: proactively identify the cause of common wiring faults and noise interference problems; and secondly, help end-users to solve certain local home connectivity problems. Sckipio Technologies, a start-up based in Israel, has raised US$17 million in a Series B round for its G.fast modem chipsets and software. Sckipio's G.fast solution includes chipsets bundled with software for a variety of access and mobile backhaul applications based on the ITU G.fast G.9700 and G.9701 standards, to which Sckipio is a leading contributor. The new funding was led by Pitango Venture Capital and combined with follow-on investment from the original Series A investors; Gemini Israel Ventures, Genesis Partners, Amiti Ventures and Aviv Ventures. This Series B round follows an initial investment of $10 million in the company. 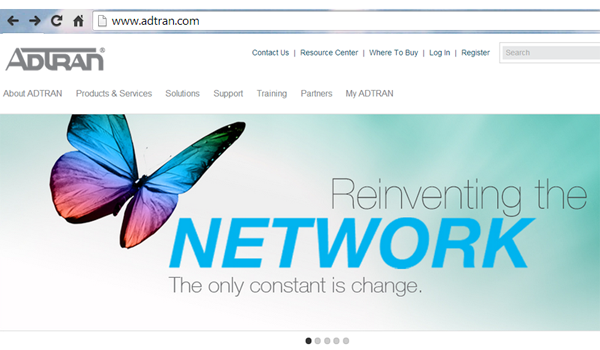 ADTRAN introduced a Frequency Division Vectoring (FDV) technology that enhances the capabilities of both G.fast and VDSL2 vectoring by enabling them to better coexist by working in tandem across a single subscriber line in the service provider’s network. The company said its patent-pending FDV doubles data rates and increases the reach of intermediate-rate services – between 100 Mbps to 1 Gbps – allowing the delivery of cost-effective premium broadband to 80% more subscribers. FDV expands the addressable market for G.fast by broadening its applicability from Fiber-to-the-Building (FTTB) and Fiber-to-the-distribution points (FTTdp) out to existing street cabinet sites. BT will invest a further £50 million into its commercial fibre broadband programme over the next three years. The funds, which are in addition to the more than £3 billion already committed to deploying fibre broadband , will benefit more than 30 cities, helping to make high speed broadband available to more than 400,000 additional premises. 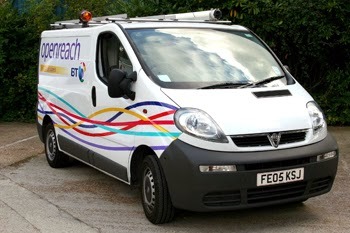 Mike Galvin, MD Network Investment at Openreach said: “Our fibre programme is going extremely well with our engineers connecting homes and businesses across the UK. Some city areas have proved challenging in the past but we are returning to those and will pass hundreds of thousands of additional premises with fibre. Laying further fibre – including ‘Fibre-to-the-Premises’ technology – to new build sites in cities. AT&T confirmed that sales of the fiber broadband service in Austin, Texas has exceeded its expectations. 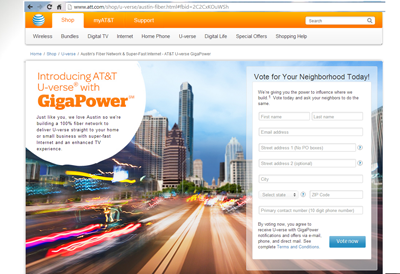 AT&T now plans to expand the all-fiber network to reach twice as many Austin area households in 2014. Planned expansions in 2014 include areas of Zilker, Homestead, and North Lamar, among many other neighborhoods throughout the city. AT&T U-verse with "GigaPower" currently offers consumer broadband speeds at up to 300 megabits per second, AT&T plans to increase speeds to up to 1 Gbps later this year. "Austin's response to our blazing fast broadband and enhanced TV services has been incredible and validates why we decided to roll this out in Austin first," said Dahna Hull, vice president and general manager, Austin, AT&T Services Inc. "Austinites consume data at rates 15 percent to 20 percent higher than the average U-verse user, and the overwhelming adoption of our new U-verse High Speed Internet 300 broadband service confirms that this community also values time and speed." AT&T noted that it first began serving Austin more than 134 years ago and today has a base of 2,600 active employees and close to 1,000 retirees in Austin, and 63 AT&T retail stores in and around the city. In April 2013, Google selected Austin as the second rollout city for its Google Fiber project. AT&T announced its fiber project in Austin days later. As part of a newly announced 2014-16 Strategic Plan, Telecom Italia will sell its subsidiary, Telecom Argentina, will accelerating the rollout of LTE and its next gen, broadband access network in its home market. An offer for Telecom Argentina has already been received and management is preparing to act on it. The CEO Marco Patuano stated: "The Plan for the three year period 2014-2016 envisages some extraordinary transactions intended to strengthen the Group. These will allow us to boost development of ultrabroadband and accelerate our converging business strategy, and to achieve greater financial flexibility, preparatory to our achieving metrics over the life of the plan that are coherent with 'investment grade' status." approximately 700 million euros for the creation of new data centres dedicated to the development of cloud computing and international fibre connections. By 2016, Telecom Italia expects its NGN access network to reach 50% of the population, with 12.4 million homes connected. 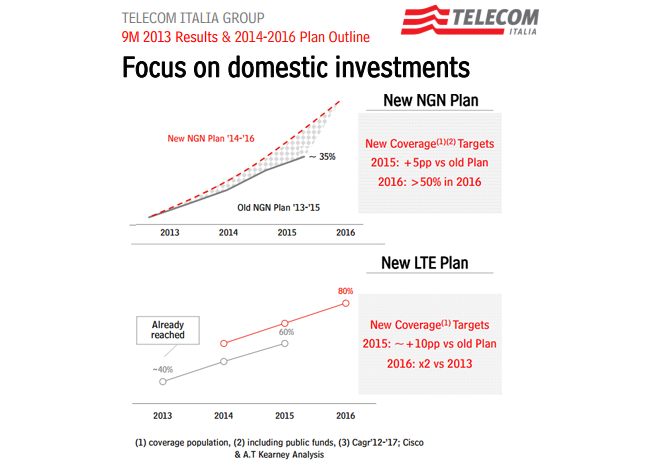 Telecom Italia's LTE should cover 80% of the population in that time frame. Regarding the NGN, the Telecom Italia Board of Directors has approved a voluntary separation of the access network, giving priority to the creation of the "Equivalence of Input " (EoI) model through functional separation, with particular reference to the offer of unbundling of the local loop (ULL) and virtual unbundling local access (VULA) for the new generation networks based on FTTCab and FTTH architectures. Alcatel-Lucent launched a range of fixed access micro-nodes that combine fiber and VDSL2 vectoring to bring ultra-broadband fixed access to more users, more quickly. 7363 ISAM MX-6: a compact modular system (with 6 mini linecards) supporting up to 192 VDSL2 vectoring ports. In addition, xDSL, POTS, and P2P fiber are also supported. Alcatel Lucent also recently unveiled an EPON fiber solution, as well as a new Motive ServiceView solution that provides visibility across the entire network – including a view of micro-nodes and EPON fiber. It also looks across network services and all customer connected devices. AT&T announced the expansion of its copper-based U-verse service in five additional states, offering residential Internet service at speeds of up to 45 Mbps downstream and up to 6 Mbps upstream. The upcoming come as part of AT&T's Project Velocity IP (VIP), a three-year investment plan announced last fall to expand and enhance its IP broadband networks. AT&T plans to upgrade top tier U-verse speeds to up to 100 Mbps in the future. 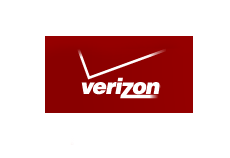 Verizon has experienced a series of thefts at company garages and central offices in Maryland. In recent weeks, thieves have stolen approximately $300,000 worth of FiOS-specific installation and testing equipment, tools and copper wire. The company is offering a reward of up to $10,000 for information leading to the arrest and prosecution of individuals responsible. Thieves also stole copper wire in May through early August from Verizon work centers in Bel Air; Brooklyn; Churchville; Edgewood; Fork; Hampstead; Jarrettsville; North East; Owings Mills; Parkton; Randallstown; Sparks; and Taneytown. In some cases, laptops also were taken. Alcatel-Lucent announced G.fast access technology, which uses Bell Labs vectoring techniques and a wide frequency band to achieve very high speeds on copper lines over very short distances. 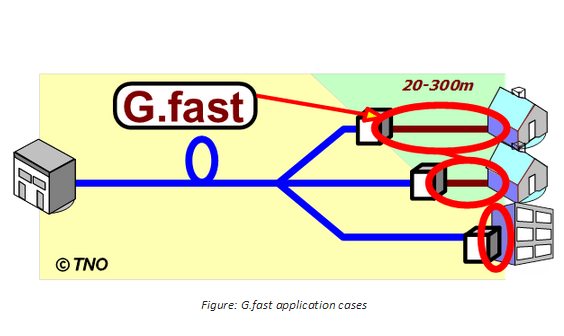 The company said G.fast is intended for typical applications of 500 Mbps at 100 meters or less. In recent demonstrations and under laboratory conditions, Alcatel-Lucent achieved 1.3 Gbps over 70 meters. The technology is being positioned as an evolutionary step for VDLS2. A trial conducted with A1, the Austrian subsidiary of Telekom Austria Group, first tested G.fast over a single, good quality cable, achieving a maximum speed of 1.1 Gbps over 70 meters and 800 Mbps over 100 meters. On older unshielded cables, typical of most in-building cabling in Austria, the trial achieved speeds of 500 Mbps over 100 meters on a single line. Although adding a second line introduces crosstalk, the use of vectoring can be used to maintain 500 Mbps over 100m. In comparison, DSL networks typically deliver speeds of 5-30 Mbps and VDSL2 vectoring networks typically supporting up to 100 Mbps. Alcatel-Lucent said G.fast, which is not yet standardized, won’t be commercially available for several years. BroadbandSuite 6.1 is a resource of global test plans for ADSL2plus and VDSL2 function and performance. It also defines vectoring and bonding options for supercharging DSL, and key methods for improving quality measurements, IPTV service delivery and techniques for DSL network management. "BroadbandSuite 6.1 gives operators a way to boost their existing copper deployments as a valuable part of the multi-access platform that is emerging around the world. High speed VDSL2 works well with fiber, providing Operators the ability to capitalize on existing investments whilst effectively engineering hybrid FTTx solutions to minimize costs, all the while maximizing speed and reach of their superfast broadband networks," stated Robin Mersh, CEO of the Broadband Forum. The EU's long-term budget agreed last week will cut funding for the Connecting Europe Facility from EUR 9.2 billion to EUR 1 billion between 2014 to 2020. "ETNO is disappointed that budget cuts have been made which affect forward-looking initiatives such as the Connecting Europe Facility, and in particular the fund devoted to NGA networks, which have a real role to play in driving Europe out of the current crisis", says Luigi Gambardella, Chair of ETNO Executive Board. "Given the key importance of high speed broadband networks and the potential leverage effect on private network investments of the CEF, this budget cut is a missed opportunity for Europe's economic recovery. ", added Gambardella. “Investments in wireline networks in Europe in 2011 amounted to EUR 24.8 billion, with ETNO members accounting for 67% of this expenditure. Industry is finding it increasingly difficult to sustain this level of investment in order to meet the goals of the Digital Agenda."